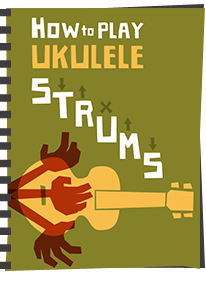 Another beginner ukulele review for you in the shape of an instrument that seems to be incredibly popular. The Tattoo Concert from Luna musical instruments. 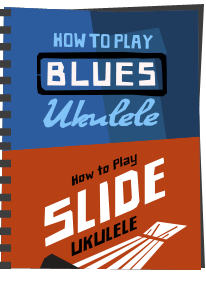 When you spend as much time as I do reading ukulele groups and forums as research for this website, you tend to notice very common beginner questions cropping up. 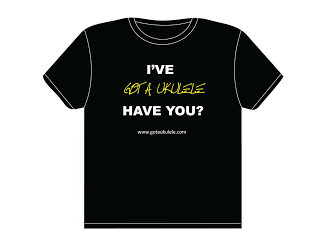 Perhaps the most common is 'recommend me a first ukulele'. Without fail I would argue that every such question has somebody answer it recommending a model from Luna. So I thought I would see what the fuss is all about. This Luna Tattoo is in Concert scale, Chinese in origin and forms part of a range of instruments that are common in their laser etched designs on the top of the instrument. This one chooses to use the traditional tribal tattoo markings, so favoured by low rent pop stars and football players in some vain attempt to get in touch with their none existent tribal heritage.... (sarcasm deliberate..). It's a fairly standard double bout shaped concert with a tattoo engraving on the top! Don't like the tattoo look? - well they do others with peace signs, flowers and turtles. All, in my opinion, suitably generic and rather tacky, but I guess whether you like them is very subjective. They are not for me though. My first major gripe with this one. Take a look on the Luna Website and you will see that the product specs for this model stating that the top, back and sides are made from Mahogany with the top being made from 'Select Mahogany'. That's a bad move Luna. I find that is a misleading and frankly incorrect statement. This instrument is made from laminate wood with a mahogany outer veneer. How that makes it 'Select' is anyones guess as it's actually quite plain and mere plywood. Sorry to go on about that point but it is a tactic that is employed by various builders that I think is underhand. There is nothing 'select' about this instrument - it's cheap laminate. And no, I don't consider laminate to be something to be avoided, there is good and bad laminate. This isn't good laminate. OK, let's move on. So - laminate wood it is, and the top back and sides are actually quite plain when you look more closely. They are finished in satin and the edges are unbound. It's not a totally bad construction and the laminate is quite thin for a cheaper end instrument, but nothing stellar. Very basic in fact. It actually feels a little unfinished on the hands. Hard to describe, but not a tactile instrument that is enjoyable to hold. Clearly Luna rely on that decoration on the top to make this stand out. It's nicely done for what it is I guess, but not to my tastes as I say. But aside from that there is nothing else to make you think this ukulele is special. You make like it of course, but remember - such decoration does not assist in tone! The back is flat and quite plain. Nothing much more to say about it really. The bridge is a tie bar variety and it's nice to see it shaped a little differently from the norm. It is screwed in place and comes complete with an uncompensated plastic saddle. I'm actually glad it is screwed in place as it looks like the etching goes underneath the saddle. I can't imagine that provides a nice smooth joint for glue alone. In fact I spoke to a few people who had problems with the bridges on these coming loose - I'd wager that edging is why. The screws would seem to me, essential. Either that or Luna could realise that putting etching under the bridge plate is not really a good move in the first place..
A look inside the instrument shows a build that is only reasonably tidy with one or two glue spots and wood shavings hanging about. The Kerfing is notched and the braces look quite chunky and overly done to me. Certainly, with the inherent strength of laminate wood, I fail to see that they need to be over specified in this way and that is likely to kill the tone. Up to the neck and this is fairly standard in width and profile. It's made of three pieces with a joint at the heel and one at the headstock. Nothing surprising there. Topping the neck is an unbound rosewood fingerboard of rather questionable quality. Not only does it look extremely dry, it's got a large pale patch in the middle which has a tinge of green. All over it though you see quite an open grain that looks messy, the worst of which is seen at the nut end in which we have a very noticeable knot hole in the wood. Poor quality wood mixed with poor quality control. It is shaped at the sound hole end which I suppose is the nicest touch I have noted with this fingerboard! Otherwise it's one of the worst I have seen. Frets are nickel silver with a fairly standard 18 in total with 14 to the body. They are dressed well enough with no sharp edges or mis seating. Saying that - the crowning of the frets feels a little severe on the fingers and a run up the neck is quite uncomfortable. Position markers are in the form of inlaid plastic pearly triangles at the 3rd, 5th, 7th, 10th and 12th. They are not repeated on the side for the player. I never quite understand the need for a marker at the 3rd on a ukulele but there you go. Not having side markers is the main let down though. Past the plastic nut we have a distinctive shaped headstock which I quite like, though it does look a bit narrow. It reminds me of the 'coke bottle' shaped headstocks on some Danelectro guitars. It is faced in mahogany veneer and complete with the Luna logo in screen printed white. I actually think it looks a little stark and the logo in pearloid or gold would have looked more pleasing. Minor point I suppose. Add to that, the narrow headstock has the tuners looking too close together to me. It looks ugly. Flipping it over and we see we have tuning provided by unbranded open geared tuners with white pealrloid plastic buttons. I expected cheap tuners considering the price and whilst on brief inspection they are similar to those you will find on cheaper Makala instruments, these are some of the loosest and poorly made tuners I have ever come across. In tuning the instrument I noticed quite a bit of play in them, and then looking closer I found that with little effort I could move the gear around quite a bit. In fact I think if I gave them a strong pull I could pull them apart. Not good. They hold tuning I suppose, but I am not sure what life they will have. Horrid. Completing the deal are Aquila Nylgut strings and a functional branded and zippered soft gig bag. The price - about £80 or thereabouts. So a price that is naturally going to entice a lot of new players, coupled with that soundboard decoration. Yes, I can see now why they have been popular. But aside from some of my construction gripes, on to the playability. First up it's light enough and comfortable to hold. It's a bit off balance with more weight in the body but easy to control. Set up on arrival at both the nut and saddle are perfectly acceptable. Not bad so far. Sound wise - of course at £80 I was not expecting wonders and miracles, but I have to say that the whole thing left me feeling flat. It's functional enough, and intonation is not all that bad, but what you get is a fairly one dimensional, muddy sound with not a lot of volume or sustain. Picking sounds worse, but it's not particularly magical strummed either. It's hard for me to pin it down as it does work in 'general' terms as an instrument, but it just doesn't bring me a great deal of joy to play it. It is kind of lifeless in tone and projection, albeit one that plays accurately enough. I suppose that if the instrument was £50 or less it's exactly the sort of sound I would expect, but it isn't. It's £80. And at that price I just think you can do a lot better on the tone stakes for similar or less money. Examples include entry level laminates from Kala and Ohana and the rather superb Baton Rouge Sun series - all of which leave this Luna in the dust with their sound in my view. Don't get me wrong, it's not a terrible instrument, and I have played a lot worse, but just doesn't do it for me. Many will like it though and it does work as a basic instrument. I am sure though that those that do were likely to be more focussed about that tattoo image on the top than about the quality of the sound. And as I say above - that decoration doesn't affect the tone. It's just extra fluff. Give me a plainer uke with a better tone any day. Style over substance for me, coupled with some poor quality materials and cheap parts. I'd look elsewhere if this is your budget - the choice these days is getting wider and wider and stuff like this won't stand up much longer at this price. And as for your product description on your website Luna - shame on you. Thanks for the review, I enjoyed it as always, Good to hear a balanced opinion but we have come to expect that from you. 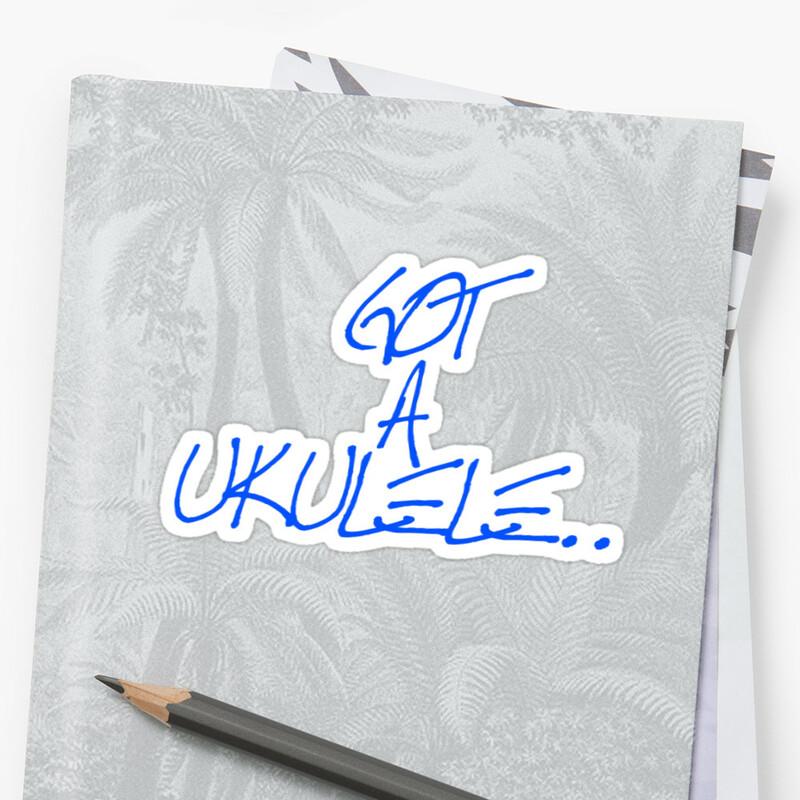 Think I would prefer to spend my £80 on the SUS own brand, all solid mahogany concert uke, a great starter ukulele for the money, then that's just my opinion. I would agree Andy. In fact there are lots of instruments I would rather spend £80 on than this one. Only recently discovered your site and am impressed with the objective reviews I've read. I'm essentially a baritone ukulele player but somethings dabble with a concert and tenor. I have a Luna 'Peace' concert ukulele and I can agree with most of your comments, mine does have markers on the side at the 5th, 7th, 10th and 12th frets though. I'm haven't played a great number of concert ukuleles but I do enjoy the Luna, though I confess I bought it for the design! Keep up the good work it's much appreciated. great review. its refreshing to see such an objective review...everything is not awesome all the time. could you review the high tide by luna. As one of their higher end instruments think would offer a great comparison. Great review Baz, I see a lot of Luna ukes but I've never played one myself. They seem to have done a good job of making their ukuleles distinct enough to attract attention, like you though - it's not a style for me. 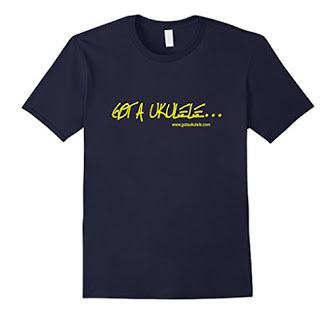 If there's one thing I don't like in a uke, it's that muddy tone that you mention. For a while all seems fine but as soon as you start trying to embellish chords the sound is just lost completely. I own a uke myself that suffers from this and there's certain songs that just don't work on it at all for that very reason. Very fair review, and I agree with the various points made by Barry. I bought one for the aesthetics, the blue ukiyoe concert cutaway model. I did upgrade to Grover tuners, though. The fingerboard on mine is quite nice, no blems, and has dots on the side. 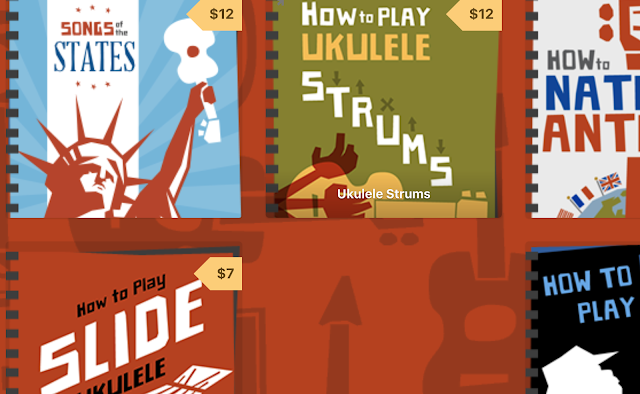 But, I wouldn't buy one as my go-to uke, only as an addition to a collection. Plays well enough, but as Barry said, the sound is plain, and rather dull. My Oscar Schmidt ukes sound far, far better, with my OU7T as my go-to uke. I always appreciate your reviews but just want to say this about my Luna Concert (with a peace sign, a sign I'm associated with): I live in a part of Florida where there are hardly any music stores, let alone ukuleles. Began playing last June with a $30 Soprano from Amazon. Moved to Concert and then Tenor, my point being, there was no where to try the "action" before I bought one. A few months ago I was at a local festival and there was a vendor with the Luna peace ukulele. Of course I was attracted to it but didn't really need another one and it cost $129. Finally tested it out and the match with my small fingers and stage of ability were perfect. Played "Leaving On A Jet Plane" (3 chords!) and was hooked. I bought it, I love it. My first ukulele tested before bought. So it's a great instrument for what another reviewer calls "The Campfire Crowd" and I prize mine. 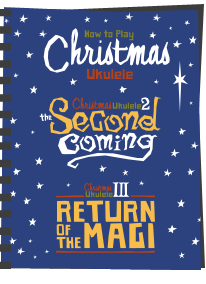 But thanks for the review, you've been a great help on my year's quest to be a ukulele-ist!